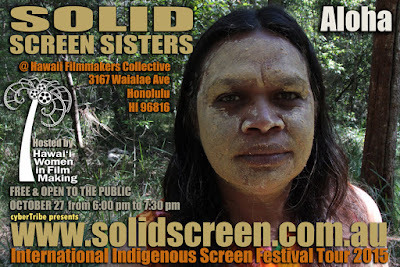 Solid Screen Festival Australasia Pacific and Sea Stars Screen Festival 2016 are supported by the Queensland Government through Arts Queensland. 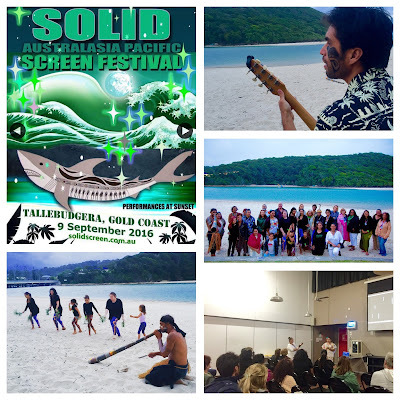 A Screen Culture grant of $3000 was contributed by Screen Queensland to tour SOLID SCREEN Festival regionally, to The Cairns Institite, Smithfield. The 2015 international tour was presently solely by Jenny Fraser. the main funder of SOLID SCREEN 2014 was the Experimental Arts section of the Australia Council for the Arts in 2013. Two of our SOLID guests from Canada appeared courtesy of flights paid by The Centre for Creative Arts at Latrobe University. Two SOLID women writers were supported to attend courtesy of support from the First Nations Australia Writers Network. 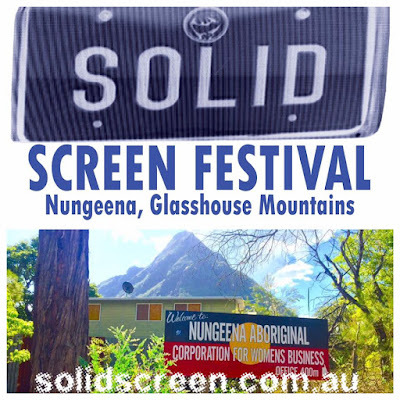 A Screen Culture grant of $3000 was contributed by Screen Queensland. Two SOLID Koori were supported to attend courtesy of support from the Arts Victoria Indigenous Professional Development Unit. A Prize towards the SOLID SCREEN AWARDS was provided by Metro Screen in New South Wales, for the award category of SOLID SCREEN Artist. * it took around 10 years to get funding to make SOLID SCREEN happen. * SOLID SCREEN Festival is still looking for support - we will be making a publication and documentary about this rare and important international gathering of SOLID women screenmakers. How does cyberTribe currently fundraise? Its a love job. cyberTribe has existed on the love and goodwill of artists hardwork, along with volunteering and inkind support for the past 15 years without any annual or triennial arts funding. Occasional arts funding grants have allowed us the opportunity to complete some projects and travel, but generally we have survived because it is our custodial responsibility towards culture. cyberTribe has produced over 40 exhibitions and events internationally. As a background: cyberTribe was established in Queensland but the Australian Arts Scene is very Southern-centric, so Brisbane has for sometime played a poor cousin or 4th best city for the Arts. This is said to be improving, but if we have initiatives like cyberTribe continually promoting Artists to Audiences that can‘t or won‘t be around the art circuit, we can break down Stereotypes and explore the possibilities of inclusion in southern exhibitions and further engagement Internationally.